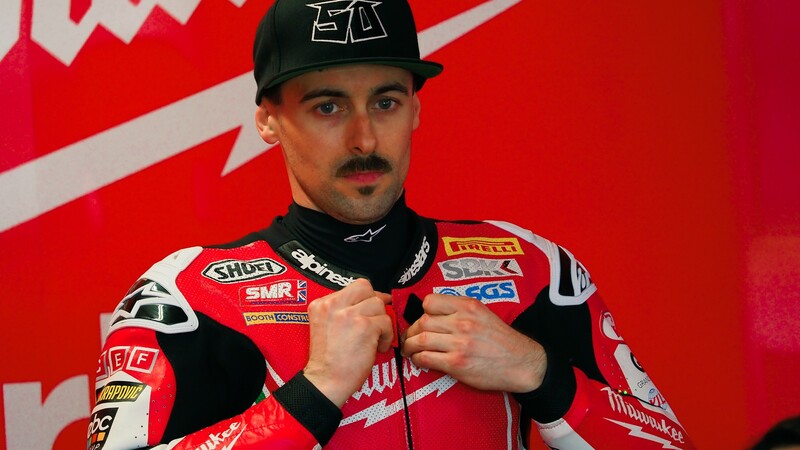 Following his crash in race two at the MOTUL Thai Round, Eugene Laverty (Milwaukee Aprilia) suffered a broken pelvis and is now on the road to recovery. 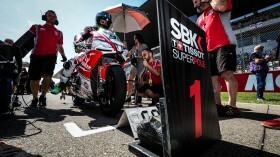 Remaining in Thailand as he begins his rehabilitation, he will focus on getting back to full fitness and is aiming for a return at his home round of Donington Park in May. 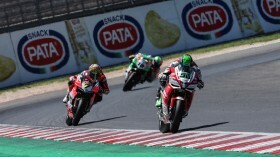 Crashing out on lap four of the 20 lap MOTUL FIM Superbike World Championship race, Laverty was involved in the stunning battle fans were treated to in the opening laps and dropped out of the race from sixth positions as he fell at turn six. 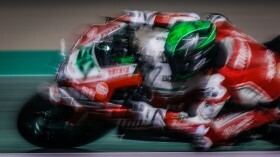 After being accompanied in Buriram hospital by Medical Director Monica Lazzarotti, Laverty was then transported to Bangkok hospital on Monday as he begins his recovery; it is confirmed he has a broken pelvis in two places, which will heal without surgical intervention. However, the Irishman underwent a small operation to repair internal injuries sustained in the crash. Looking ahead to making a quick return, he is hoping to be back on his RSV4 RF as soon as his home round at Donington Park at the end of May.